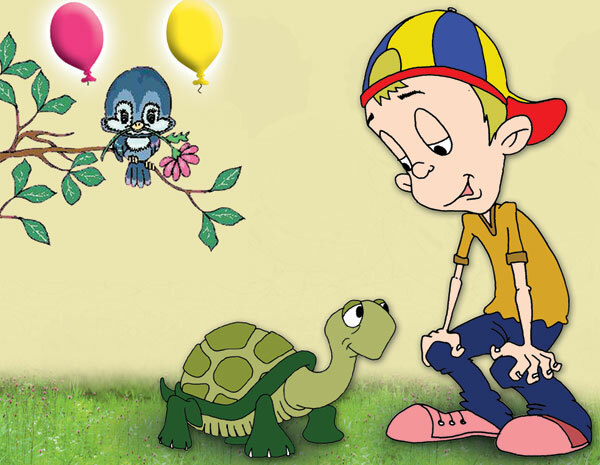 The tortoise began by saying: "Hi Amar! It's great that you are so young and clever enough to learn a lesson from the story about the hare and me." Amar asked "How old are you?" The tortoise replied: "I'm not as young as I look; I am actually 45 years old. Tortoises live for about 60 years; and there's even one kind of tortoise called the 'Testudo' that can live as long as 189 years." "What's your favorite season?" asked Amar. The tortoise replied: "Warm weather is very important for our survival. Our body temperature changes with the temperature of the air around us and is usually between 32.2 and 32.4 Fahrenheit (0.1 and 0.2 degrees Celcius) lower than that of the air. Our digestive system speeds up as the temperature becomes hotter. When Allah created us, He gave us this characteristic to make it easier for us to survive when it is very hot. We need all the gifts that Allah gives us, but He is Rich Beyond Need." Amar then wondered: "What's your favorite food?" "We love yellow squash. Our eyes are very sharp, and they see yellows best. That means we can easily find our favorite food," responded the tortoise. Amar had another question for the tortoise: "Do you hibernate in winter?" The tortoise explained: "Yes. When the weather gets colder, from October on, and food becomes harder to find, our bodies slow down and we protect ourselves by going to sleep for several months. Our heartbeat and our breathing slow down. We hibernate between October and March. Because Allah created us in this way, we don't have to stay awake in winter with nothing to eat, which would be fatal to us. Allah has protected us for generations by sending us to sleep at just the right time." Amar had more to ask: "I know you live on dry land, but I also think some of you live in the water. Can you tell me about them?" Caretta carettas go to warm beaches to lay their eggs. Allah inspires the young turtles that hatch from the eggs to head toward the light reflected off the sea, in other words, to go straight toward where they will live. How do these baby turtles know that the sea is the best place for them to live in? It must be because our Lord inspires that knowledge in them." Amar said: "You're right. Everyone with a mind to think with must know that the world is full of Allah's wonders. We must always remember that you and I, all animals and trees and everything else are a sign of Him. It was nice to talk to you. Thanks for telling me so much. Bye-bye." "Good-bye, you clever boy," said the tortoise. 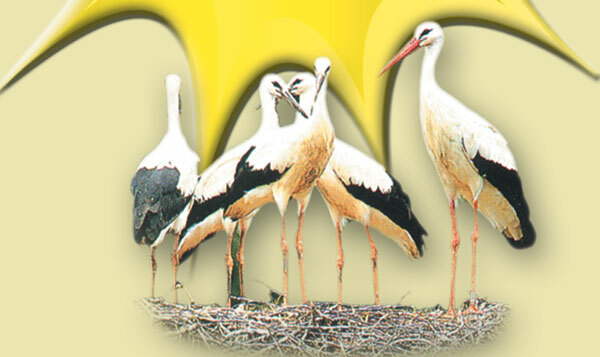 Storks are large migratory birds between 3-5 feet (1-1.5 meters) tall with big, white wings. Their red beaks and legs make them look cute. Every year, storks migrate in large numbers because they can't live in cold regions. Storks thus tell us that the hot days of summer are coming, and it is a miracle they know when the weather is about to warm up. The following year, when spring has come round again, storks return on their miles-long journey and find their old nests. Of course it is Allah Who inspires such a good memory and sense of direction in them. 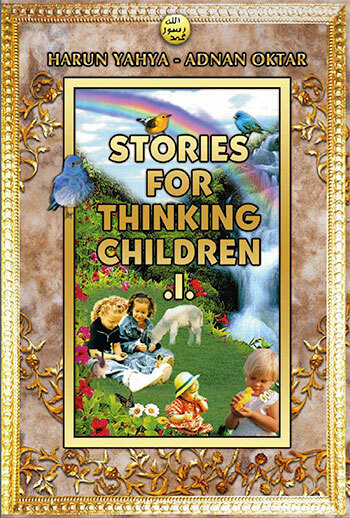 You can read Harun Yahya's book Stories for Thinking Children 1 online, share it on social networks such as Facebook and Twitter, download it to your computer, use it in your homework and theses, and publish, copy or reproduce it on your own web sites or blogs without paying any copyright fee, so long as you acknowledge this site as the reference.